But on a trip to New Zealand a few summers ago, Greg had seen people living out of vans. He wondered, what if they tried that? “And I was like, ‘There’s no way I’m doing a van,” Morton says. 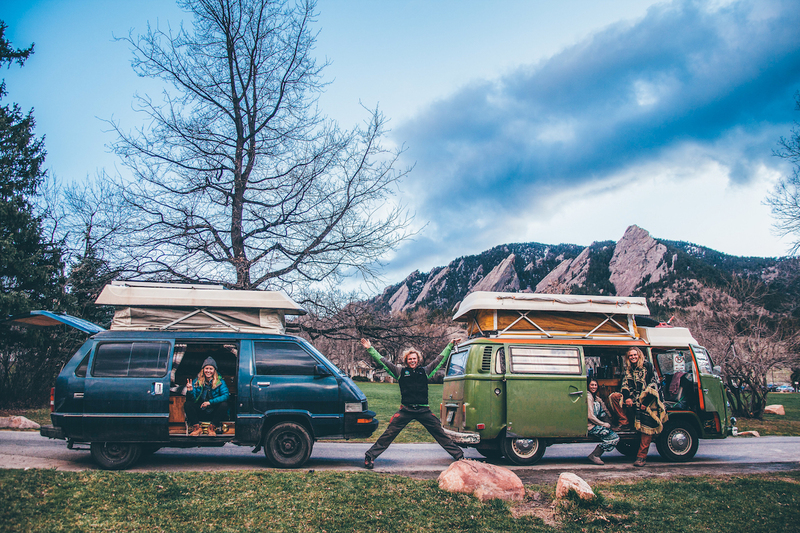 She now lives full-time out of a 1987 Toyota van. As a compromise, she and Greg decided to try a camper trailer first. They found their future home on Craigslist: a 1969 camper trailer for $1,800. Just when they thought all hope was lost, they found a family on Airbnb that agreed to let them park in their backyard. And just like that, the couple downsized from a 1,000-square-foot apartment to a 120-square-foot camper trailer. “That was our first taste of tiny living,” Morton says. 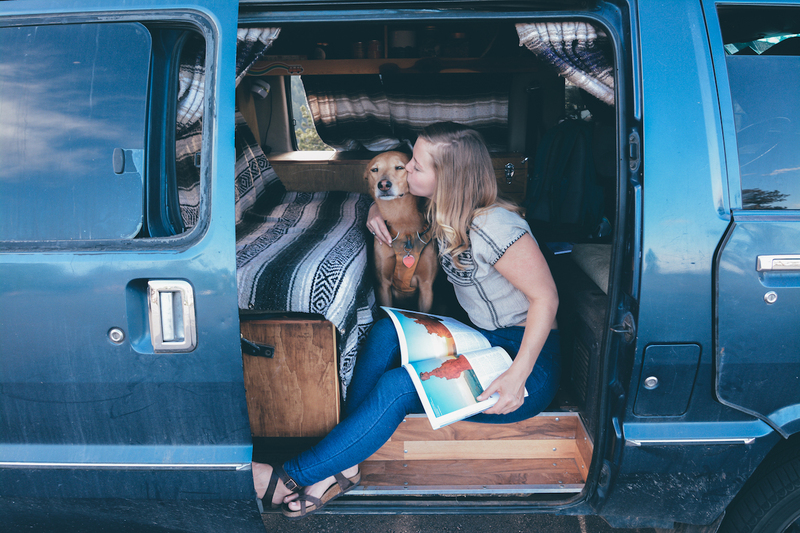 Though she and Greg eventually split ways (he took the van), Morton ended up buying another ‘87 Toyota van and now lives on the road with her dog Peaches. Kathleen Morton with her dog, Peaches. Photo by Allison Mayor. While many choose van life for the freedom or the adventure, Morton chose it for a different reason: the environment. Morton’s deep connection to nature was forged through the many trips she and Greg took, where he taught her how to identify plants and forage for food. That’s when a profound shift began. She and Greg lived off-grid, reducing their waste through composting and minimizing their electricity and water usage. Kathleen Morton. Photo by Marianne Brown. Through her growing platforms, Morton hopes to spread awareness about the environmental harm caused by trash, particularly plastics. The average American generates 4.4 pounds of waste per day, according to a 2014 report by the Environmental Protection Agency. Much of it winds up in our oceans and our drinking water. A study commissioned by Orb Media found that microplastics—tiny plastic particles broken down from larger plastics—are in 94 percent of tap water in the U.S.
On a recent trip to Baja to film “Into the Arena,” Morton experienced firsthand the effects our waste has on the environment. At the end of the film, you can see her driving along a beach road lined with trash. This July, Morton is promoting a 30-day plastic-free challenge to help people reduce their environmental footprint. Throughout the month, participants will receive emails with tips to help them live more eco-friendly lives. For example, instead of grabbing a paper cup at your favorite coffee shop, Morton recommends bringing your own mug or tumbler. Instead of asking for a to-go box at a restaurant, you could bring your own reusable one. On top of that, Morton will be putting pressure on companies to rethink their plastic product parts and packaging. She hopes to get businesses to consider recyclable or sustainable materials, such as providing compostable to-go containers instead of styrofoam ones. “This is a way to kind of light a fire in everybody,” she says. Kathleen Morton. Photo by Kathleen Morton. While #vanlife has drawn a lot of ire for its staged photos—a pristine van parked near a cliff, its backdoors swung wide open to a view of the Grand Canyon, for example—Morton will be the first to tell you everything is not as it seems on Instagram. Sometimes you have to drive through bad weather conditions or really rough roads. Other times, you spend hours just searching for gas. “And that can be really stressful,” she adds. Maybe you really want to connect with nature. Or maybe you want to become more creative or artistic. “Really examine the purpose,” Morton advises. Once you know your goal, you might find that your ideal life doesn’t involve a van. It might involve a camper trailer, a tiny house, or maybe just going on a backpacking trip through Southeast Asia. 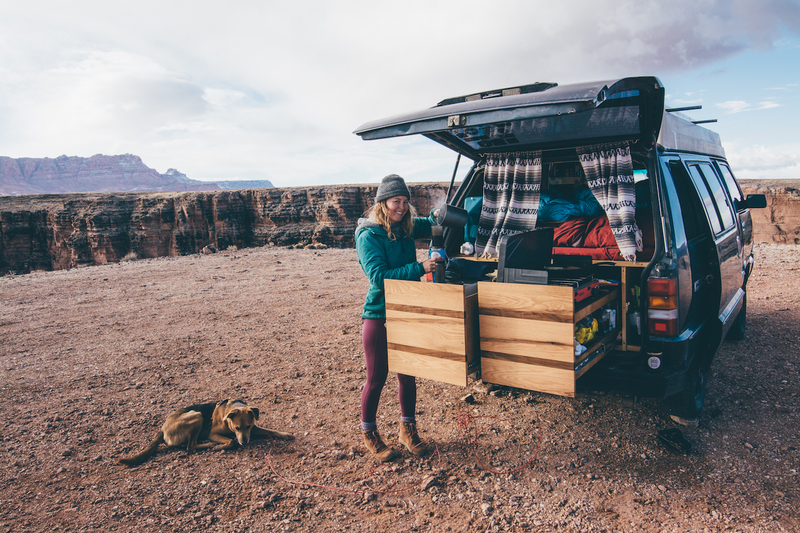 “There’s some great ways that you can go out and experience this without actually having to go through the process of finding a van, buying it, getting it built out,” she says. 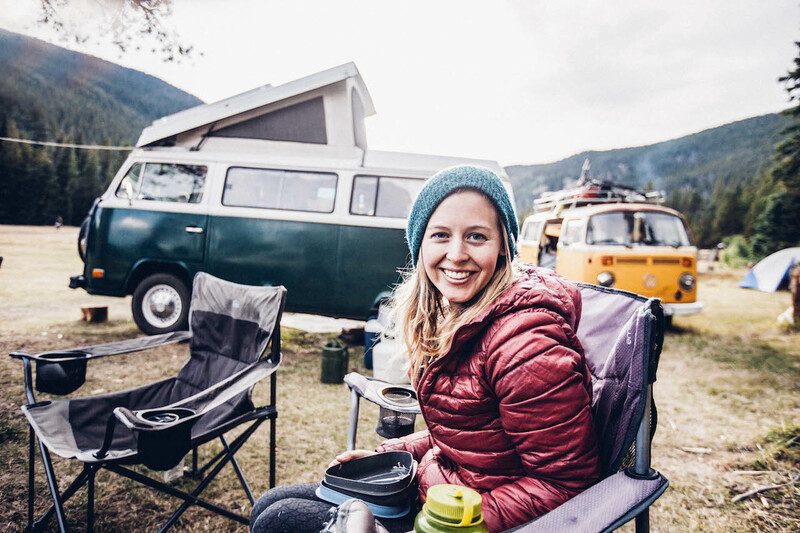 If you want to explore this lifestyle and discover what’s right for you, Outdoorsy can help you find your perfect rental, whether that’s a vintage VW bus, a 14-foot travel trailer, or something else.